At the beginning of your spiritual journey, it seems that it would be easy to achieve spiritual growth. Your enthusiasm and sincerity are such that you can’t imagine anything derailing your momentum. 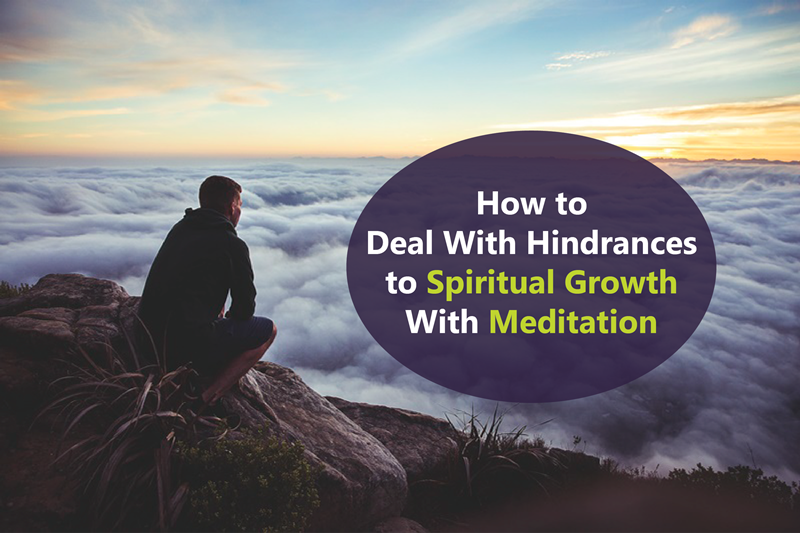 Unfortunately, there are very real hindrances to spiritual growth that you just don’t expect to show up. They mostly rear their heads when you fail to manage your material life. Oftentimes, people get so caught up in pursuing spiritual success that they neglect to maintain their material life. Indeed, while the spirit may transcend the physical, it may still be influenced by mundane matters. What are the different factors that can hinder your spiritual growth and what can you do to address them? Mindless ritual – The activities you participate in for the purpose of growing spiritually may become nothing more than part of your routine. Case in point: Meditation is wonderfully beneficial, but not when you lose focus on its true purpose. If you do it to go through the motions, then it loses its meaning. It’s easy to get caught up in the day-to-day grind, so make sure that meditation doesn’t become a simple task to get crossed off your to-do list. Remember to put your heart into it and keep in mind what your goal is in observing the practice. Pursuit of desires – Is it wrong to have desires? Of course not; they’re simply a part of your nature. You can even follow the Law of Attraction to make your desires manifest faster. When you meditate, however, your erstwhile focus on desires will likely shift. To allow yourself to be consumed by desires is to court sorrow and drain your spirit. One way you can control them from ruling and ruining your life is to be mindful of your needs and wants. Doing so will put things in a better perspective for you. Unhealthy attachments – It’s the same for the things you already have. When you put too much importance on material things, so much so that you can’t seem to function without them, they will cause you misery. Train yourself to be able to easily let go of these attachments. They’re a burden that weighs you down. You can practice this by de-cluttering regularly and choosing a more minimalist lifestyle. Overthought decisions – This doesn’t mean that you don’t use your brain at all; just that, in the battle between your heart and mind, heeding your heart is better for your spirituality. It’s important to sit, meditate, and listen to what your heart is telling you in order to grow spiritually. When you don’t listen to it, you just open yourself up to a lot of confusion. When you heed your heart, there are no side thoughts or afterthoughts to fret over. You’re certain to feel good about your choices. These are some the possible hindrances that you have to watch out for in your journey toward spiritual growth. When you do encounter them, you’ll hopefully know how to address them.